Well, another month has passed and we’re having as much fun as ever. We are still house hunting which we knew would be a challenge but did not anticipate it taking so long to find the right home. We do have a very particular list of needs because of our long-term homesteading goals which has made it extra tough to find one that is just right. Thankfully, our realtor has been very patient and understanding with us. I don’t think any of his other clients have space for chickens, goats, pigs, and a huge garden on their list of requirements. As usual though, it is never a dull moment on the homestead. I’ve been off work and enjoying time at home cooking, working on organizing projects, and putting together homesteading materials. Michael has enjoyed some much-neede d time off work and got to visit his brother and we have a big family trip to the mountains coming up. 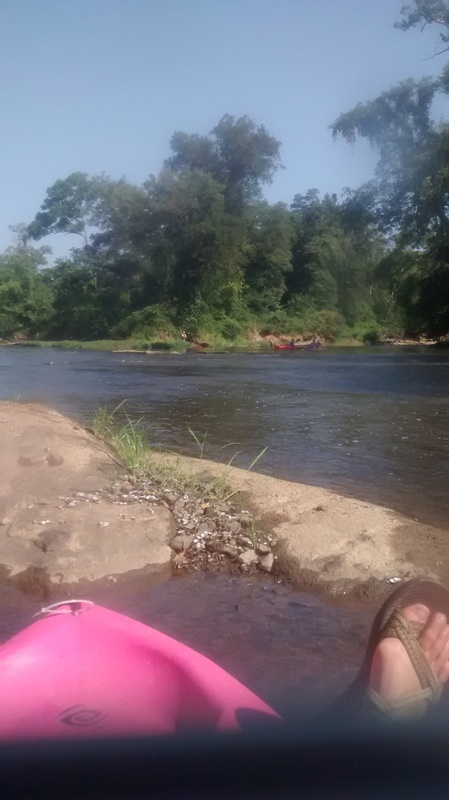 We had an extra fun Sunday Funday a couple of weeks back when we participated in Loose on the Neuse and did a trash pick up on our kayaks a few miles down the Neuse River. The group ended up picking up hundreds of pounds of trash. We got over 80 bags and dragged in lots of lumber and very random items like bikes, tables, and chairs. Michael even won these killer Sweetwater Brewing signs which we will be happily displaying in the new house. 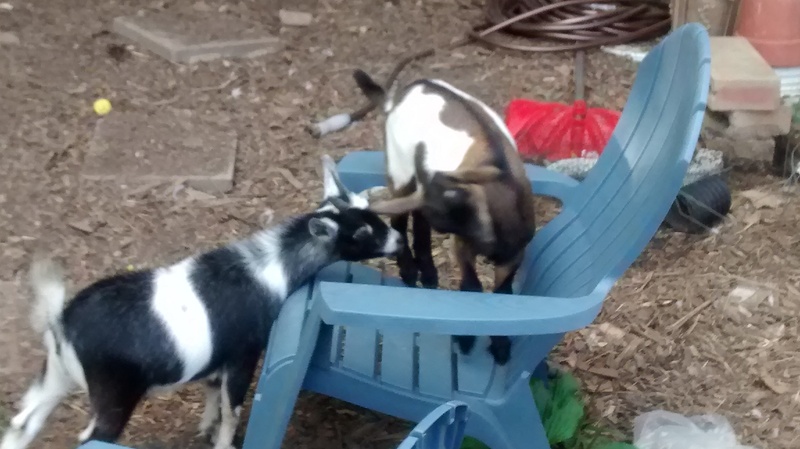 While doing my usual homesteading reading online one day, I came across a saying which read, “an only goat is a lonely goat,” so we had to get Geoffrey a friend immediately. We came home with Georgia just a few days later and we’ve loved having her around and for them to keep each other company. They’ve only gotten into a tiny bit of trouble. They got in the garden one day and ate all of our ripe tomatoes, our only two pepper plants (the whole plant), and our cucumbers. Geoffrey also learned how to climb under a particular spot in the chain link fence so I spent one Saturday chasing him down and retrieving him o ff of a neighbors porch about 5 times until I finally caught him in the act and barricaded the spot. Thankfully, no escapes since. Georgia was raised with lots of goats and little Geoffrey was bottle fed and treated like a pet with humans since about 10 days old, so she has been a little skittish with us but is coming around. They have lots of fun grazing and palling around, and of course terrorizing little chickens. Our wee ones are coming along nicely. In about another month or two we will butcher all eight and load up the freezer for the fall. 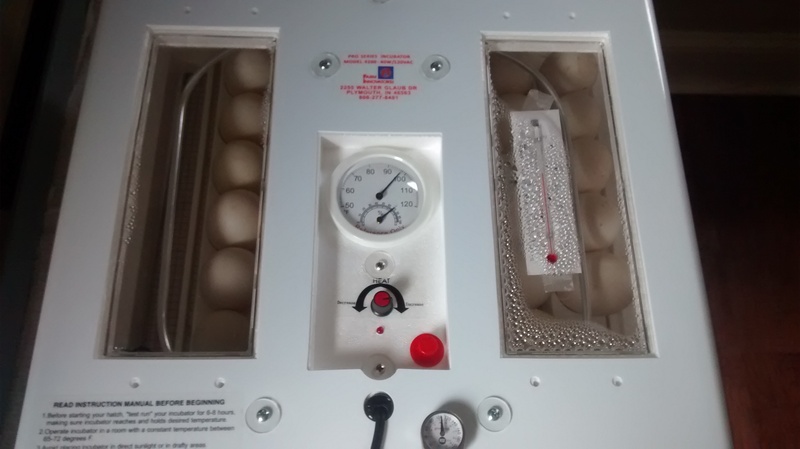 We also tried incubating duck eggs with no success. We did stick a few under a broody chicken so we’ll see what happens with those. We think we may have one successful experiment with the rabbits. We took our bunnies to a friends who has a female rabbit for a play date and we are expecting a litter in just a couple of days. The rabbits have been our biggest challenge. We thought they would just do their thing and we would be getting to stock the freezer with fresh meat but since December we’ve had no litters. We are blessed to have lots of friends who keep a big garden because ours has not done well this year. We put in the raised beds but in our eagerness to get stuff in the ground did not amend the soil and it has been slow going indeed. It will be a late harvest but thankfully our friends and neighbors have lots to go around so we are still enjoying fresh local veggies everyday and keeping our grocery bill super low. We trade pork and eggs when we need to and have gotten pounds and pounds of kale, tomatoes, peppers, and squash. Nom nom! Day-to-day we post a lot on Instagram so please feel free to visit us there to keep up between posts. There’s always some cute critter just begging for us to take a picture and share. Thanks so much for your card and for sending me your website. We are looking forward to seeing pictures from your new place. We really enjoyed reading Sara’s entries, and seeing the pictures of course. It was nice to see you at the funeral. Steve is home, but Mary’s going to be in the hospital for a while. Enter your email address to keep up with the homestead via email. Spreading the permaculture word - Create your own environment! Bee-friendly farming for a sustainable tomorrow. From a scrappy 1/4 acre to a homestead on more! Livestock, gardening, meat, wool, eggs, dairy, DIY projects, and life from scratch. Blogging about my life in Wild, Wonderful, West Virginia. Raising Meat Rabbits To Save The World!